16 de Septiembre de 1910. S. Vicente. 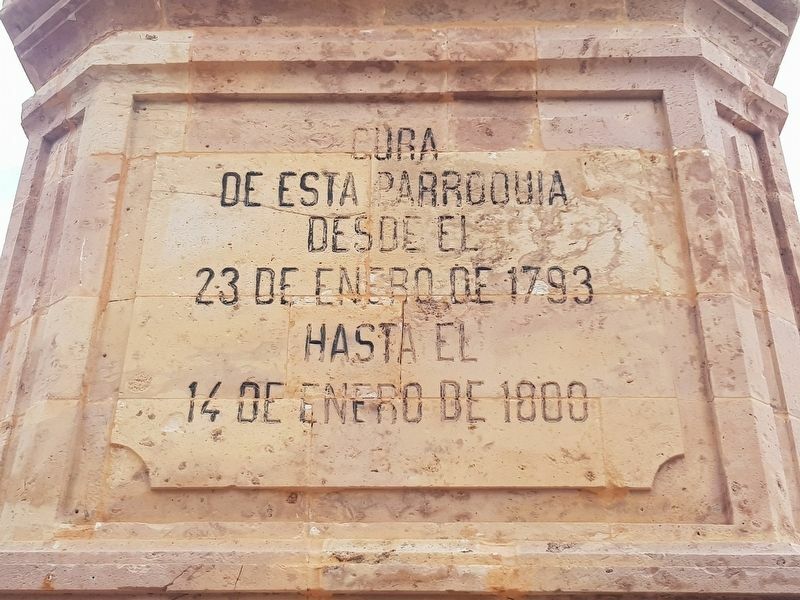 8 de mayo de 1753. Chihuahua. 30 de julio de 1811. San Vicente, May 8, 1753. Erected 1909 by El Distrito de San Felipe. of Pino Suárez, on the left when traveling east. Touch for map. Marker is in this post office area: San Felipe, Guanajuato 37600, Mexico. Touch for directions. Other nearby markers. At least 8 other markers are within walking distance of this marker. 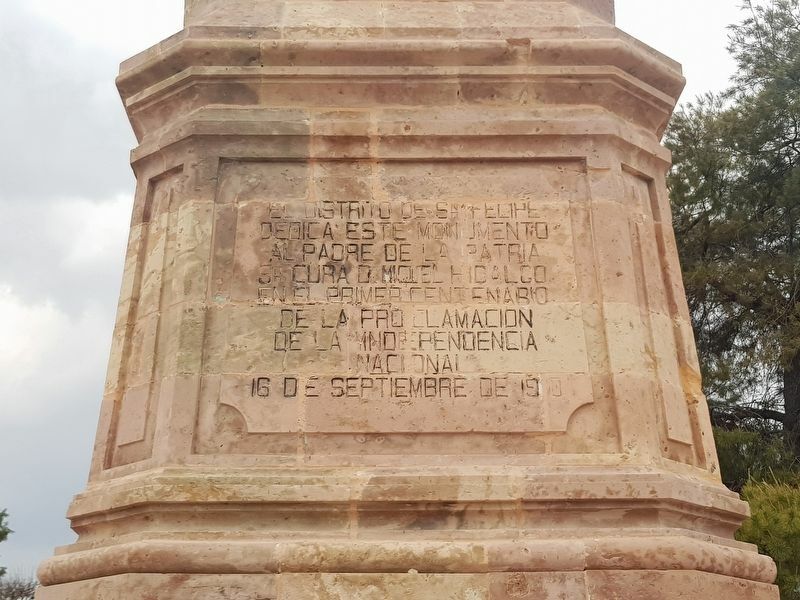 José Práxedis Gilberto Guerrero Hurtado (a few steps from this marker); 1936 San Felipe Massacre (a few steps from this marker); Hidalgo's Priesthood in San Felipe (within shouting distance of this marker); Benito Juárez in San Felipe (about 90 meters away, measured in a direct line); Miguel Hidalgo in San Felipe (about 120 meters away); Plaza Aquiles Serdán (approx. 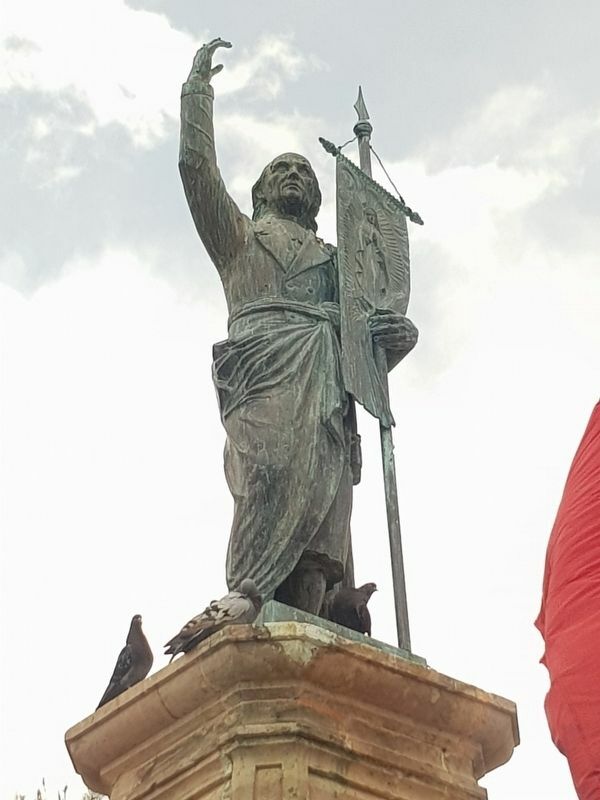 0.4 kilometers away); The Founding of San Felipe, Guanajuato (approx. 0.4 kilometers away); The Route of Hidalgo (approx. 1.5 kilometers away). Touch for a list and map of all markers in San Felipe. 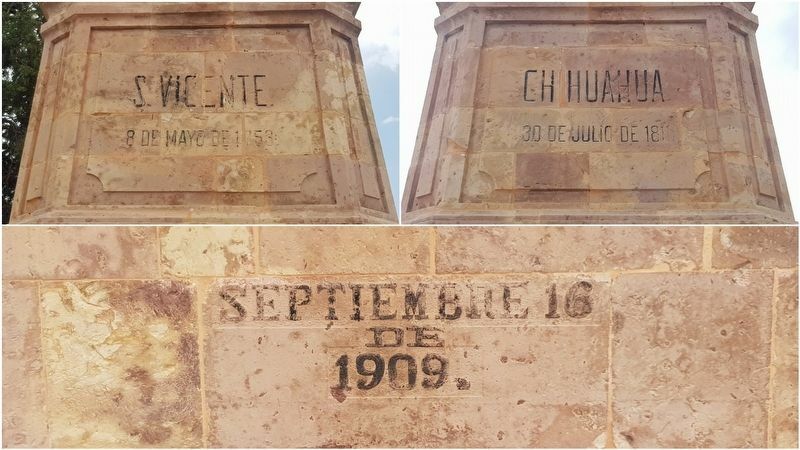 This collage shows the other inscriptions on the monument: Hidalgo's birth and death locations and dates and the monument's original construction date. 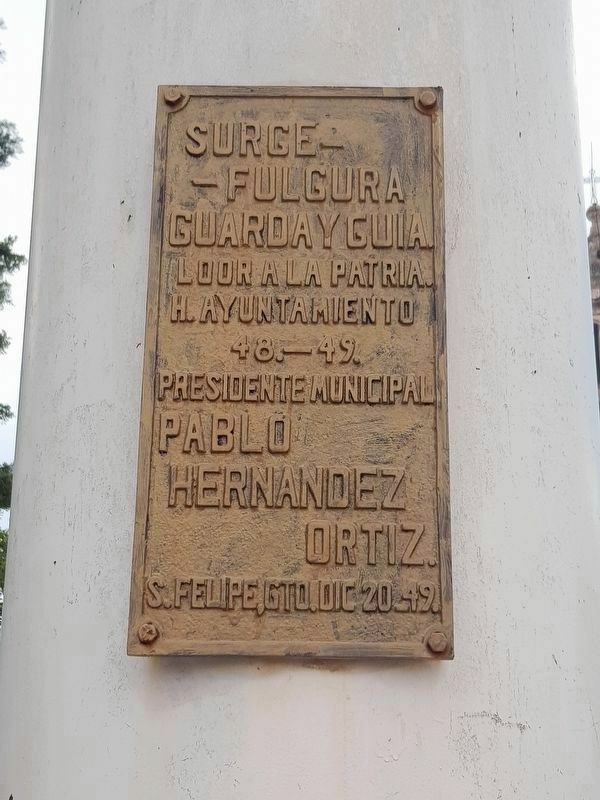 Surge – fulgara guarda y guia. Loor a la patria, H. Ayuntamiento 48-49, Presidente Municipal Pablo Hernandez Ortiz. S. Felipe, Gto. Dic 20_49. More. Search the internet for Hidalgo's Proclamation of Independence. Credits. This page was last revised on April 12, 2019. 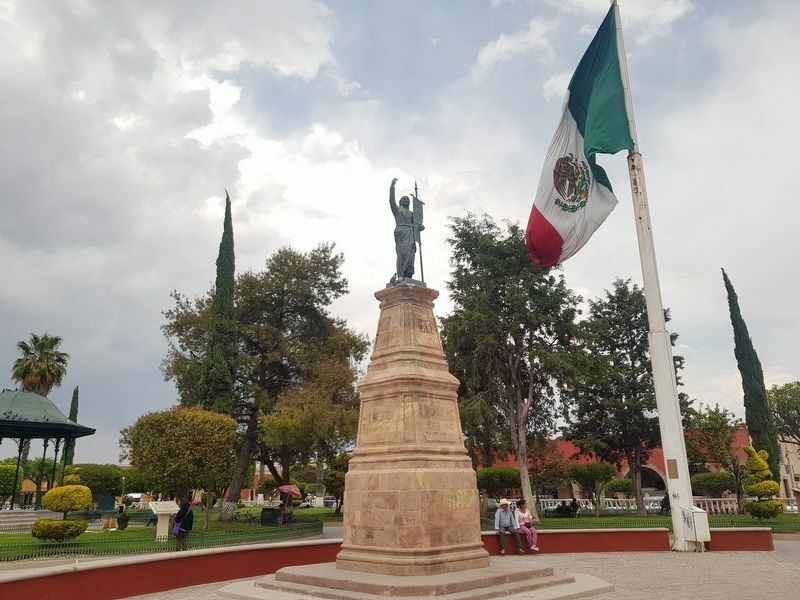 This page originally submitted on April 12, 2019, by J. Makali Bruton of Querétaro, Mexico. This page has been viewed 50 times since then. 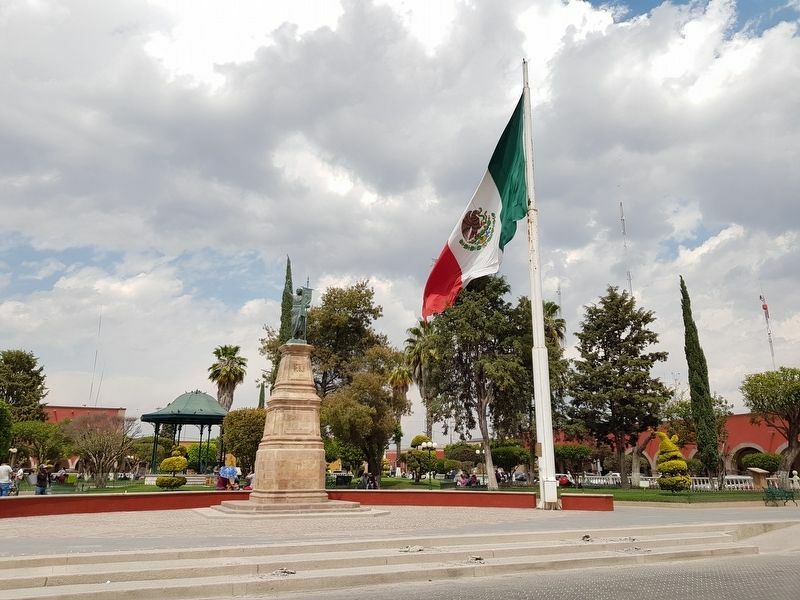 Photos: 1, 2, 3, 4, 5, 6, 7. submitted on April 12, 2019, by J. Makali Bruton of Querétaro, Mexico.